Google introduced a “freshness” algorithm update to its search results yesterday. This change will help users find pages relating to recent events, news and products much easier and more accurately. This algorithmic update is based off of their caffeine infrastructure. Google claims this change will make results more relevant for its users, which they believe is what truly sets their company apart from that of their rivals. The last big update to the Google algorithm, known as Panda, affected only 12% of searches, while this update is will affect 35% of search queries (what users typed in the search bar in Google). At the moment, you can see these changes taking affect when you search for items involving Basketball, Microsoft and the Wall Street Journal, but eventually this will spread across the board. Add a blog, news and/or articles section to your website (if you haven’t already). Have an effective presence on Social Media channels. Communicate with your followers/fans directly rather than automating your Tweets/messages. 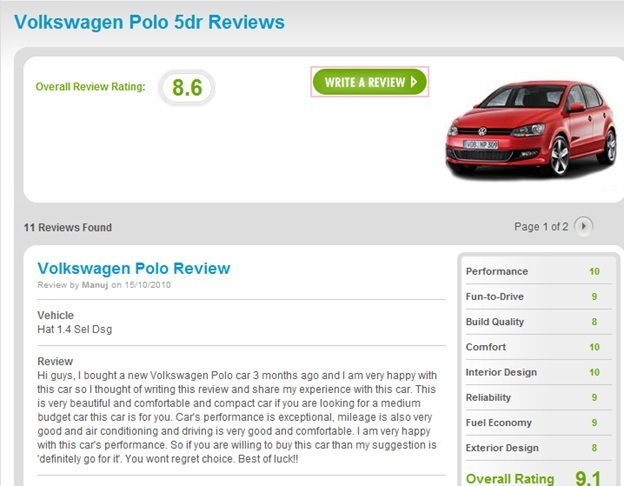 Facilitate product reviews from the general public on your website. Take Amazon for example. With millions of reviews from real people who have actually used the products, not only do more users trust the products they purchase from Amazon, Google trusts their content more. There is no other particular type of content that has the same impact on the search results; and with the freshness update to Google’s algorithm, this content is a great way to ensure your website is updated on a regular basis. Note: When you bring together your Twitter followers, blog followers and Facebook fans, you create a community. It is important to enhance that community and continually provide fresh content through reviews, debates, chats, etc. Example: Type in “ceramic cookware” in Google and you will see “Xtrema” as a result of doing just this! Let’s say I write a blog post on SEO for the WebFX blog. I then make sure to tag the blog post for ‘SEO’. This subsequently creates a snippet on the SEO category page, which brings in the top 3 latest blog posts written for SEO. This in turn not only keeps the blog fresh, but also the SEO category page fresh. Like Blogs, you can create snippets and ensure continual fresh content in this way. In fact, this will even add to the conversation you are currently having with your followers. All the better, is it not? I am not certain whether Google considers brand new links coming into a website to be “fresh content”, but I don’t see why they wouldn’t either. Links have always been an important factor for SEO and will most likely remain one of the most important factors in the future. Once again you can create a snippet for this type of content. For example, if someone writes a review about WebFX’s SEO services, the snippet would automatically pull the review and subsequently place it on the SEO page. It’s as simple as that, well for the developers I mean :). Google is certainly rolling these changes sooner than later. Let me know what your thoughts are about this change.